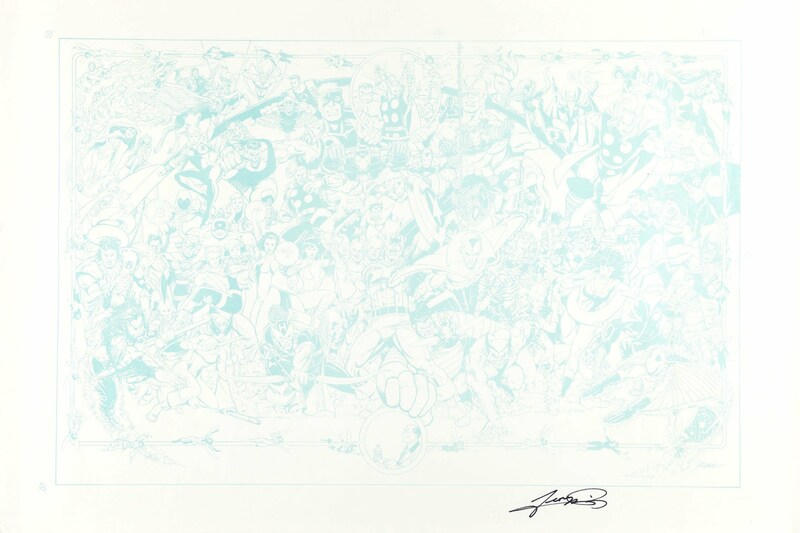 According to Dynamic Forces: AVENGERS ALMIGHTY ANNIVERSARY GEORGE PEREZ LITHOGRAPH! - SIGNED BY GEORGE PEREZ AND COLORIST TOM SMITH, it is sold out. Dynamic Forces is promoting George Pérez's appearance on the Shopping Channel with some animated banner ads. The Shopping Channel in Canada will be the place for comics fans Friday, August 27, 2004, at 11:00 ET, when Dynamic Forces and Nick Barrucci host superstar artist George Pérez for a special showcasing the recently issued JLA/Avengers hardcover. 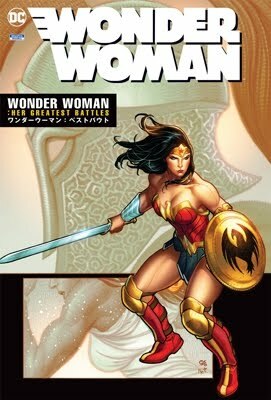 DF will also be presenting signed comics and lithographs featuring the authenticated signatures of such creators as Terry and Rachel Dodson, Alan Davis, Mark Farmer, Jae Lee, Mark Millar, John Romita Sr., Chris Claremont, Adam Kubert, Brian Michael Bendis, Todd McFarlane, Michael Turner, Jim Lee, Scott Williams, Alex Ross, Dave Johnson, Roy Thomas, Greg and Tim Hildebrandt, and others. There is one artist whose name is most often associated with Earth's Mightiest Heroes and that artist is George Perez and those heroes are Marvel's Avengers! Now Dynamic Forces presents the most incredible Avengers Lithograph ever produced - featuring every Avenger ever (up until the 30th Anniversary when the piece was originally created but not seen again until now)! Surrounding the inset of the Original Avengers Team and with a border featuring the many costumes for the Wasp even Jarvis takes center stage on this incredible piece of art! Artist George Perez and colorist Tom smith present this landmark piece of art a must-have for any comics fan! Measuring 18" x 24" and printed on high-quality archival paper this is a piece that will be treasured for years to come! After 11 years Marvel asked me to re-color this monster using computer color. It will be used as a 2-page-spread in the Avengers Assemble HC which is on sale in July and in the July Marvel Previews catalog. I changed a few things ... can anyone pick them out?